In this example, we only use Serial to get PM 2.5 value. 曹永忠, 許智誠, & 蔡英德. (2015a). Ameba 空气粒子感测装置设计与开发(MQTT篇):Using Ameba to Develop a PM 2.5 Monitoring Device to MQTT (初版 ed.). 台湾、彰化: 渥瑪數位有限公司. 曹永忠, 許智誠, & 蔡英德. (2015b). 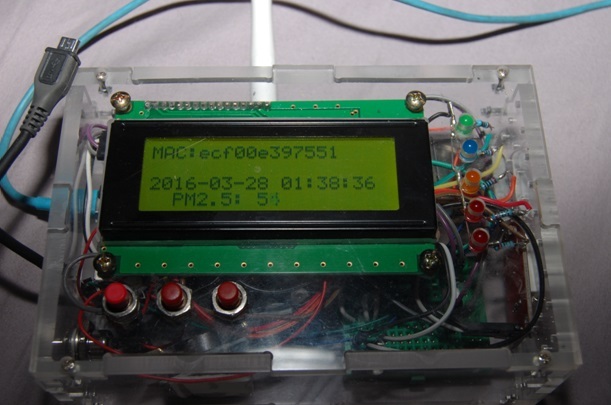 Ameba 空氣粒子感測裝置設計與開發(MQTT篇)):Using Ameba to Develop a PM 2.5 Monitoring Device to MQTT (初版 ed.). 台湾、彰化: 渥瑪數位有限公司.